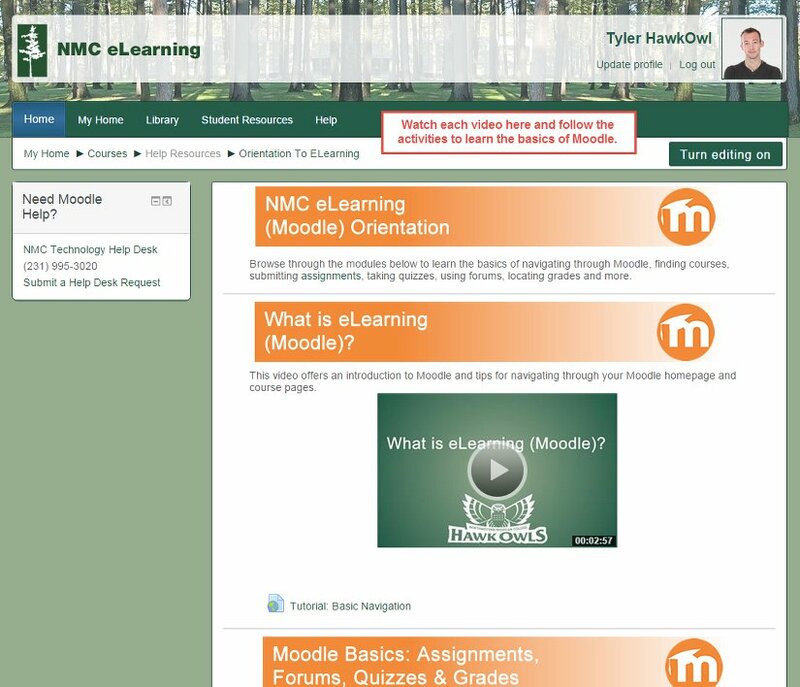 To access eLearning (Moodle), click on myNMC at the top of any NMC web page (including this one). Once in your NMC Student page, click on eLearning (Moodle) or the Moodle icon ( ) to access Moodle. Your Moodle homepage will display a list of courses in which you’re currently enrolled. Click on a course name to open up that course. The best way to learn Moodle is to click on Help in the main menu. 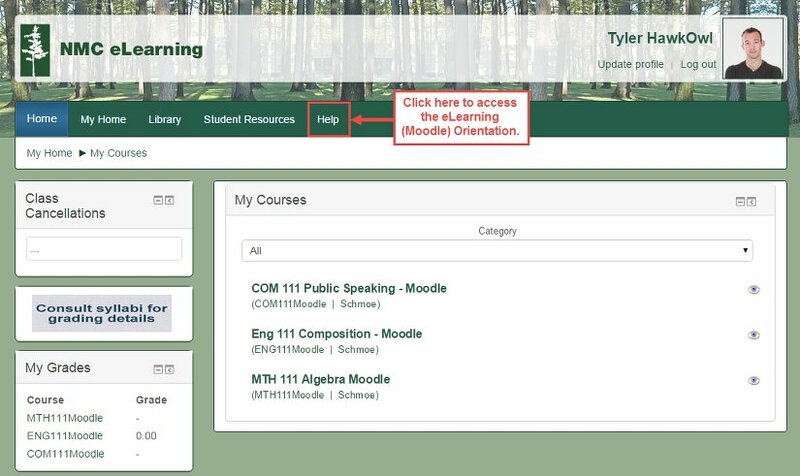 This will take you to an eLearning (Moodle) Orientation page. In the next window, click on eLearning Orientation to access. And then click on Orientation to begin. Watch the videos and browse through the content to learn the basics of using Moodle. Each instructor uses Moodle differently and it’s important to get clear instructions about the expectations for using Moodle as class begins.